An ideal choice for guests seeking pretty lakeside scenery, the Margaretha is owned by the attentive Vogler family and provides traditional comforts and a relaxing, informal atmosphere. A short lakeside promenade stroll brings you directly to St. Wolfgang village centre (800m). We update Strandhotel Margaretha's details often, but facilities do change. e.g. some extras listed by the supplier as "free" or included might only be for the first time you use them, or for one time per party, then charged for further use. If any specific feature is essential to your holiday, make sure you ask us to confirm the details of it before you book your holiday. This accommodation only holiday to Strandhotel Margaretha in St Wolfgang, Austria departs Wednesday 4th September 2019, for a 3 night stay on a "half board" board basis. A local tourist tax (Taxe de Sejour or Kurtaxe) is levied by many councils in European resorts. It varies by standard and type of accommodation and is age dependent, so not everyone is charged. It's not included in the basic price of your holiday and is usually paid locally. For reference, the average charged in winter 15/16 was between 50p and £2 per person, per night. 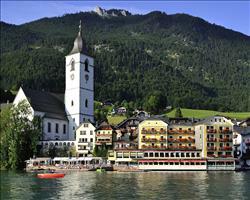 Hotel Furian St Wolfgang Austria, Accommodation only to Accommodation only 4th September. 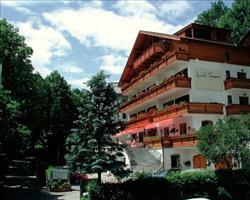 Hotel Försterhof St Wolfgang Austria, Accommodation only to Accommodation only 4th September. 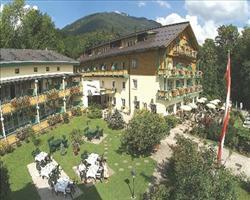 Hotel Weisses Rössl St Wolfgang Austria, Accommodation only to Accommodation only 4th September.